Having a background as a music teacher, I often get the asked what resources are available for homeschoolers to grow in their music studies. As such, today I’d like to share with you an Ultimate List of Online Music Education Games available for FREE to public and homeschoolers alike to have fun while learning more about music. 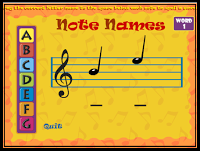 Whether playing via iPad, SmartBoard, or laptop, each resource provides supportive games and activities to reinforce music concepts at home. 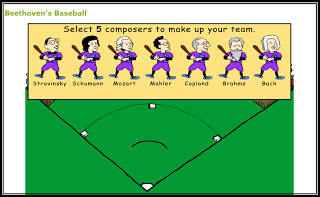 For your browsing convenience, these online music education games are organized into the following categories: aural training, composers, composition, instruments, notation, symbols/vocabulary and variety. Quia Rags to Riches–like “Who Wants to Be a Millionaire” with questions limited to the orchestral instruments. These websites could not be limited to one particular musical focus but have several online music education games covering a wide-variety of musical instruments and elements. *This post is a part of iHomeschool Network’s Ultimate Guides. For more Ultimate Guides for everything from housekeeping to homeschooling be sure to check out the Ultimate List of Ultimate Guides created by several dear home school bloggers like myself at ihomeschoolnetwork.com. 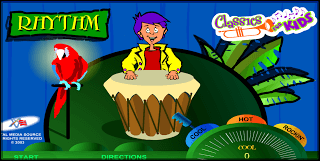 **Did I leave out one of your favorite online music education games? Feel free to let me know in the comments and I’ll be glad to add it to the links above for others! In order for online games/activities to be included in the above list they must be FREE, ONLINE, INTERACTIVE, and EDUCATIONAL. Thanks for your help in making this an even more ULTIMATE musical resource. WOW! This is quite the list! I’m pinning it and referring to it often for my piano students (and eventually my kids when I really start home-schooling them. The oldest is only in K4 this year and I’m not doing any extracurricular subjects w/ him.) I didn’t look at every single one – do you have Makingmusicfun.net on there? Great printables with “speed drills” for note-naming, interval naming, etc. Oh no…I missed one. LOL. Thank you for the tip! I’ll be sure to add it! Super list—thanks so much for putting it together. I’m teaching 4-6th grade music for our co-op this year, and I’m sure I’ll be referring to these sites. Blessings! Thank you. Hope it helps many save lots of time and energy so they can use it for other things more important. Glad you found it helpful. Um…..where have you been all my music teaching life???? This is AMAZING. Wow. Thank you so much for posting. This represents hours of searching and sifting through…..what a goldmine!! Um… Lets just say I’ve been there. ;). Hope it helps. Let me know if you find something I missed or if a link no longer works. I hope to keep this page as up to date as possible. Thanks. What a great list — thanks so much for all the resources!! I was just looking for some new music games and found your site. Thank you so much fo sharing these sites with us. I teach elementary vocal musc in the Troy School District near Detroit. I just sent my whole dept. the link to your site. Will be trying out a bunch of the games next week. Yeah! Thanks for sharing. As a former public school elementary music teacher I was hoping this would be a great resource for some of my favorite people in the world. 😉 Have fun playing and let me know if you find anything to add. I’d love to keep this post up-to-date! Thanks! My nieces and nephews use the online piano lessons at FreePianoLessons4Kids.com and they love them! The viedoes start at a very beginner level and are geared toward kids 5-10 years old, and balance fun with good technique. Ooo…thanks for the link. I’ll be sure to check it out! What an interesting article! My kids LOVE apps like this and I am always on the look out for more. One that I have found that I really like is AURALBOOK. It helps kids improve their listening skills and gives them direct feedback. I think AURALBOOK would be a great addition to this list! Just read the article and was about to comment the exact same thing! My kids absolutely love AURALBOOK and it’s free! It rly fits in well with the other apps on this site. Only thing is these are online games, not apps. Good thought though. Thanks for sharing. Great resource list. Thanks for putting it together, Kathy! The idea is that you can play and hear notes by tapping on the staff. The advantage of this is that learners not only see what they have to do but they also hear an instrument play back the note they’ve selected. This takes the concept of learning to read and play from staff notation from an abstract activity to a practical one. The aural feedback confirms the note to the student, which is a great boost to learning. Highly recommended.